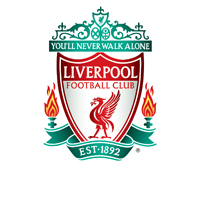 ​Liverpool Ladies FC can today confirm that Ashley Hodson, Becky Flaherty, Ellie Fletcher and Ali Johnson have signed new contracts with the Club. 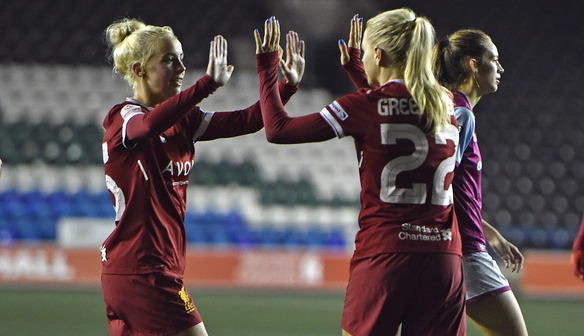 Liverpool Ladies FC can today confirm that Ashley Hodson, Becky Flaherty, Ellie Fletcher and Ali Johnson have signed new contracts with the Club. Twenty two year old Hodson has been a regular for Liverpool Ladies since progressing through the youth setup making 56 appearances and scoring twice, whilst goalkeeper Flaherty, who signed for Scott Rogers’ side from Hibernian Ladies in 2016, made her Reds debut in last week’s 5-1 Continental Tyres Cup victory against Aston Villa Ladies. England U19 international Fletcher has made 4appearances for the Reds since her debut against Chelsea Ladies whilst winger Johnson has made 12 appearances for the Reds, scoring her first goal in the 6-0 drubbing of Sheffield FC Ladies earlier this season. Liverpool Ladies manager Scott Rogers spoke of his delight at securing the future of the quartet, commenting: "I am delighted that Ashley has agreed to sign a new deal with the Club. She is a player with big potential and is also one of the longest serving players at the club. Ashley gained some valuable experience during the FAWSL Spring Series and her aim will now to be cement a place in the starting line-up. “Becky has been brilliant since joining the club and can only learn by training with experienced players such as Siobhan Chamberlain. I am sure that Becky will have learnt a lot already from Siobhan and her aim will now be to push Siobhan in order to get more first team opportunities. “Ellie is another youngster with big potential as she is so calm and composed on the ball. This is highlighted by her recent call up to the England U19 squad. To be able to train with the likes of Casey Stoney and Gemma Bonner on a daily basis will only help Ellie to develop her game. “Ali is a player who is really highly thought of by the coaching staff here at Liverpool Ladies. She is a quick, direct player with a wand of a left foot. Ali’s objective has to be to break into the starting eleven more regularly which she is more than capable of.